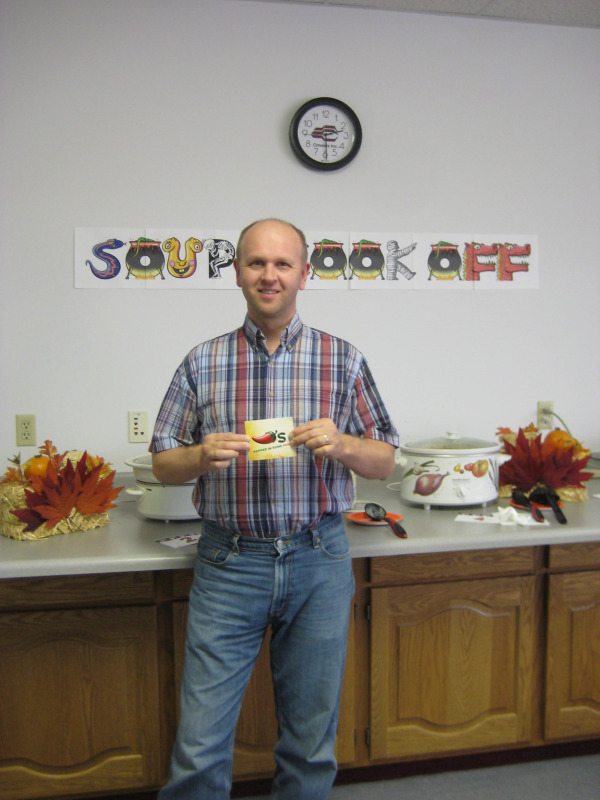 Today, Cimetrix held its 2nd annual soup cook-off. With the our first big storm of the season right around the corner, a good bowl of soup seems very fitting for this time of year. We had some excellent contenders with entries ranging from Elk Chili to Mexican Chicken Soup. Each member of the Cimetrix team takes the tasting process very seriously. There are sample cups - so that you can try just a little of each before getting a bowl of your favorite. However, I think most of us were full after just the tasters! After a thorough tallying process, the winner was announced... Mark Bennett! Not just a member of our experienced engineering staff, but also a remarkable cook. His Zuppa Toscana won by a landslide. Congratulations Mark! Download a copy of Mark's recipe here.